Like the world of medicine, dentistry is chock full of a variety of specialties. This is because even though the mouth is one single area, there are several components of treatment, as well as many different ailments. 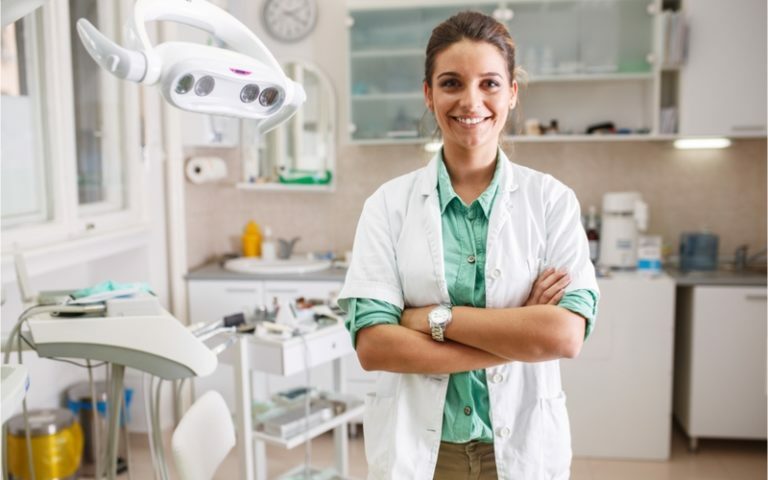 Read on to learn about the different types of dentists out there and how they help keep people’s mouths healthy. A general dentist is a lot like a family practitioner. They can treat a variety of ailments and see a whole lot of everything. Most general dentists focus on prevention of dental decay and diseases like gum disease. This prevention is crucial to maintaining a healthy mouth and reducing decay. You’ll see a general dentist for cleanings and treatment of decay like cavities. In fact, the general dentist is who you will see likely before you head to any specialist. This is because they are trained to notice issues that might need further attention and can direct you to the right person for the job. As the prefix “endo” implies, an endodontist deals with the inside of your tooth. They look at the prevention, diagnosis, and treatment of diseases that impact the inside of the tooth and will often perform procedures like root canals. An oral surgeon is qualified to perform surgeries not just in the mouth, but around it and the jaw. Oral surgeons can perform implant surgeries, facial reconstructions, and treat patients who might have cysts and tumors. After dental school an oral surgeon may complete up to another 8 years of schooling. Because of this they will often work on bone reconstructions, soft tissue biopsies, and even tumor removals. Orthodontists are the dentists who help make sure your smile is straight and your bite is not malformed. This is who you will go to if you need braces or if your jaw has formed in such a way that your teeth do not align properly. An orthodontist can treat both children and adults and helps ensure a person’s mouth is functioning correctly. If not, he will use braces and other methods to bring the bite back to the correct place. A pediatric dentist treats the youngest patients: children. They’re specially trained to deal with ailments that affect children’s mouths. Additionally, you’ll find that pediatric dentists have offices that are made to appeal to kids. This is so that children develop a good relationship with their dentist and don’t develop a fear like so many people have. By visiting a pediatric dentist children are given the best chance at having good oral health. Periodontists work on treating and diagnosing diseases of the tissues around teeth, including the gums, lips, and cheeks. They treat gum disease, as well as more advanced stages of periodontitis. Additionally, a periodontist may perform deep pocket cleanings, root planing, crown lengthening procedures, soft tissue and/or bone grafting, gingival or flap procedures, and more.